Where Is The Prize Patrol? 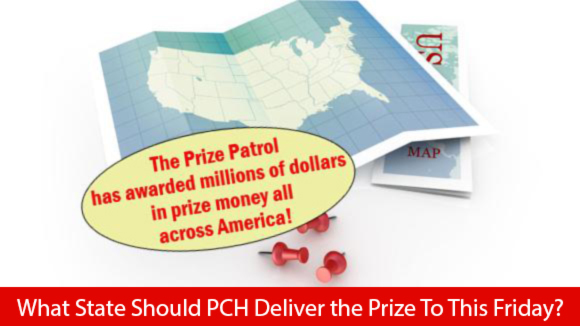 PCH – Only a lucky group of people gets to see in the real-time the winning prizes from PCH. 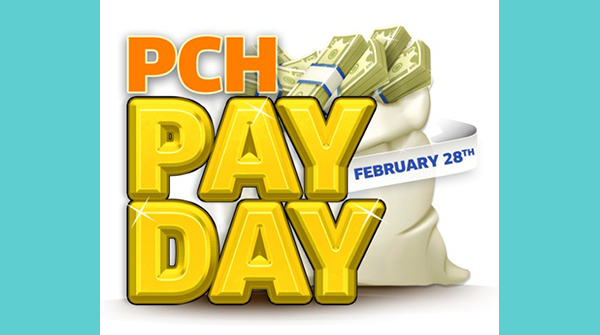 The PCH Prize Patrol travels across the country for PCH Pay Day carrying a PCH big check, roses, champagne and balloons for the Publishers Clearing House Winners. They are many PCH Fans out there that are waiting the big day for the Big Check and they know what is the PCH Prize Patrol. Actual Sweepstakes April 26th: Win $7,000.00 a Week For Life – Guaranteed to be awarded a $1,000,000 Superprize. If you have never heard about the prize patrol before, you might be wondering What is it? 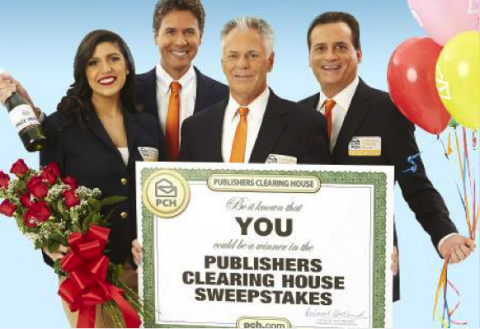 Publishers clearinghouse has attained a great reputation for offering prizes worth millions. 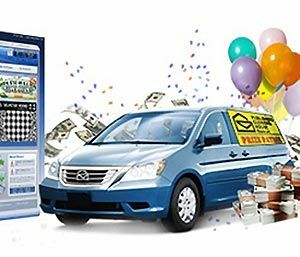 Millions across the world try their luck for the prize power offered by the publishers clearing house. Even though most employees working at the PCH want to be part of the patrol, only a selected group called as the prize patrol elite delivers the super prizes. PCH Lotto Superprize – Who will be the next PCH Millionaire? I have searched for instant winners of cash to day and would like to be included in that also. will December 30th be my lucky day!!! this would be the only thing I have ever won from PCH??????? Reclamo entrada para el sorteo (4900) que paga la cantidad de $10,000.00 todas las semanas de por vida, tambien reclamo el bono de $50,000.00 que otorga el premio (4902). THANK PCH MY CLAIM PRIZE WIN WEEK FOR LIFE $10,000.OO SUPER PRIZE GIVEWAY NO.4900 ON DECEMBER 30,2015. Complete compliance final step to win. i hope and pray that i see the prize patrol on Dec 30th at my door with a first 10,000.00 weekly check plus a bonus check because i really want and need to win this year! I hereby claim my Winning Number for December 30. PLease help me to win Giveaway No. 4900 and N0. 5979 to put my mind at rest. I WANT TO ENTRIES MY 2X WIN $100,00 WITH YOUR SET OF INITIALS LR. Round 3 Award $25,000.00 Cash Winner. PLEASE ACTIVATE MY WSR PRIZE ENTRY FOR $25,000.00 GIVEAWAY NUMBER 5140 TODAY. THANK YOU SO MUCH FOR THIS WINNING OPORTUNITY. I would like to win the $10,000 from the Letter of Indent. It sure would be helpful to me to help some people as well as myself. Thank you so much. I would like to confirm my activate three entries of LETER TO INTENT TO WIN $10,000.00 ON DECEMBER 3RD! I want to claim my WIN$10,000.00 ON DECEMBER 3rd!and confirm my WIN $10,000.00 A WEEK FOR LIFE!ON DECEMBER 30th!prize PCHGWY.4900 THANK YOU DAVE SAYER FOR YOUR EMAIL…. i been fan for long time, i wish i did win the grand prize once , and i be happy . i be even more happier if i won ,and pay everything off, plus get what i want in life , house, land , business , then help others like childern without no food in country. then i finally be able finish my colleges that put off for so long ,10years that include my law degree, cdl licence , my wielder diploma, and start my enginer degree, and game design degree. Proof of Intent To Award. Bonus Entry for a Millionaire-making Superprize. Payout Cash Prize $25,000.00. I would surely like tobe the receipiant of this. I want to w I n …I won .mean 1 love pch. Two. I did it…..now I know win claim all .and will share.knock three times come on in I want 3850 want 4900 if not here go in make self home. Pch.Love u guys waitting winner……claim me gsc.. The prize patrol team comes to deliver good news the knock on the door is real. Let me win $10,000.00 part giveaway of Gwy. 5035 and be at the top of the Winner’s Registry. i cant beleive i won. i guess ill believe when they drive in the drive way. There are people looking that win.I,am hoping for a win a lot of luck, praying wishing,and that is what can do. bleesing and good wishes to PCH and the PRIZE PATROL. . Mandatory Compliance for Imminent Win Selection. Which has now been completed. I would love to be the winner -I need help so badly – the first thing I would do is to take care of myself – Because I need fixing before I smile you see – its that bad (smile). Then everything follows. I want to become a big winner in my tv area Honolulu encan u act my prize number pch Gwy no.5035 $1,000.00 cash en the my number Gwy no.4900 I want win $10,000.00 that’s double standard weekly $5,000.00 prize payout this is my address 2518 north school street thank u pch…. I want to be a Prize Patrol winner PCH I want to win it all #4900 19,000.00 a week for life I want to win10,000.00 thousand dollars and a new car. I would be honored to win a Prize from my local T V Station. YES I would like to WIN!!! But you better hurry! I’m 85 years old, I’m a Vietnam Vet, and have served my country in both the USMSR and the USAF for over 20 years. But I do have some bills I would like to pay!!! Pch count down to that big day and what a day it will be like Etta James sang at last. Show me the moneeeeey!! I want to win $10,000.00 online ! I am responding to the 3rd round activation of entry to win $25,000.00 Cash Prize plus $10,000.00 A Week For Life Super Prize GWY NO. # 4900. Please activate my entries on both and double the entry on the $25,000.00 Cash Prize. I look forward to meeting you all on December 30th. I ask because the Prize Patrol is ready to hit the road to award Double The Prize — $1O,OOO.OO A Week For Life on December 3Oth! That’s double our standard weekly lifetime prize of $5,OOO.OO A Week For Life! I need for my name to be added and be fully valid for Gwy. No. 4900. 95519401/I claim #w45 &$10,000. aweek for life from Gwyno 4900/#4950 for$1 millom, #4902/#39/9733&5035.I realy want to win. GOD BLESS US ALL. Reclamo entrada para el maximo bono de $50,000.00, tambien reclamo entrada para el sorteo (4900) que otorga la cantidad de $10,000.00 junto con el bono todas las semanas de por vida. Incluyo el sorteo (4902) que tambien otorga la cantidad de $50,000.00 Estos premios seran otorgados en diciembre 30 de 015. It would be awesome to win PCH#4900 and Bonus PCH#4902. Prize Patrol – Dave – I a trying to get the jackpot of $50,000.00. I hope I will succeed. Yes I’m claiming my number ,for gwy#4900 win $10,000 a week with Publisher Clearing House , where dreams come true ,Make me a winner ! I just activated my winners registry card for gvw 4900,10.000.00 for life plus 25,000.00 cash bonus. Pch I want to be your prize patrol winner. Please enter my winning number and registry card so I may be a pch winner. PCH what do WE LIKE TO TALK ABOUT MOSE ON here Winning. Of course, I am yearning anxiously to see the Prize Patrol of Danielle, Dave and Todd holding the Flowers, the balloons the champaigne and the big check which I believe I solely deserve. I know I must have been a force to deal with butI do hope you understand. I am a lovely delightful person however – you will see that I am worth it. God Bless your Team. Welcome to my humble little apartment that I need to leave behind. PCH I want to be a winer I have always wanted to win PCH. I don’t know if it was because of my mother ore it is just because I just keep playing PCHI So i truly believe one day I will win.I love the game so much and I am dedicated to playing . PCH come to my door soon. My name should be put on top of the Registers Superprize List for me to be the winner. Yes pch I want to claim my entry to gvwy 4900 Dec 31. Please activate my winning number to your winners list please I want to be a pch winner. I have received the Golden Ticket for $25,000.00. Thisis great. Reclamo entrada para el solteo (4900) que ahora otorga la cantidad de $10,000.00 todas las semanas de por vida. Estoy reclamando el paso final del sorteo. Este sorteo ahora se tirara en diciembre 30 del ano en curso. Espero no lo cambien mas. I Claim, PCH Letter of Intent for a chance to win $10,000.00 prize on Oct. 31st. Always, Prayers of Thanks to the PCH Prize Patrols to knock on my door delivering Gods answer to my daily prayers. today. Please Publishers Clearing House remember Madge in Tampa – she has a lot of Faith – and on the strength of that Faith I am holding on for that wonderful surprize. PCH Frontpage search online, Thank you so much for the Official Opportunity to search, and to be a Loyalty member, Yes I want so badly to win, Please make note that I have responded back to you, Yes, Yes, Yes, Yes, I would Love very much to win gwy #4900 $ 10,000,00 forever October 23rd. Pch I want to win I also want to claim my entry to my elite seal 42.gvwy 4900. I really want to win I’m disabled I’ve posted many comments . just want to say I cold use a blessing my way. Please process this claim for me please. I want to be your winner. I want you to see if I’m your winner . I’ll be one of the best because I’ll help out many people. Like no other has. I’m into helping people. I’ve seen the lowest in life your blessing will give me opportunity to help the less fortunate. Thank you pch. Please let me get that chance to win. I am truly in need – now more than ever. I truly want to win $10,000.00 A Week For Life plus a Bonus Prize! And i also want to win $10,000.00 Online Halloween Exclusive prize on Oct.31st! I WOULD LOVE TO WIN THE FOREVER PRIZE ENTRY ON OCTOBER 23RD AND PULL MYSELF OUT OF DEBT AFTER A WRONGFUL TERMINATION IN MARCH OF 2015 , I LOVE PLAYING MY PCH GAMES AND WILL NEVER GIVE UP. Thanks for the Bonus Prize Opportunity, Yes I want to win. Solicito entrada para el premio (4900) que ofrece pagar $7,000.00 todas las semanas de por vida. Temgo el numero (1). Ademas solicito entrada para el premio (4650) que ofrece el premio de un Ford Fusion. Estos premios se otorgaran el 23 de octubre del ano en curso.DIOS quiera que pueda ganar. Lo he luchado mucho. YES I WANT TO WIN. Muchas bendiciones para todos los que integran el equipo de PCH quisiera ser la ganadora de este sorteo de $7,000.00 una semana por el resto de la vida este 23 de Octubre. Pch I want to be your winner for gvwy 4900,oct 23. 7.000.00 for life. Plus all other gvwys that I have my winning number on. I’m poor could use a gift to come my way. I’m poor and below average income I’m paralized had brain surgery. I’m a vet. Can be confirmed with my Va. Oh how any of these gvwys will help me I have activated and claimed all my email request so please process my claim and winners number to win please. I want the prize patrol at my door oct 23. I want to be a pch dinner. I’ll make pch proud in how I will share my blessings. PCH and Prize Patrol I would like to be the winner tonight on Bigger Bucks Rolling Jackpot! Plus I know there is little time to search for the Millionaire -Making $7,000.00 a week for Life. PCH GWY #4900. Plus I would like to win PCH GWY #$4950 for $1,000.000.00. Thank You!! I have been entering PCH.COM every day. I hope to become a winner! I am almost 22 years old. I hope they come to Charlotte North Carolina 28205!!!!! it to win best luck to all who enters. PCH I am responding to one final that remains , I am complying to search for Final Step winners Selection Eligibility requirements by responding here to submit my entry .I will complete Final Step! I also would love to win the $10,000.00 on Halloween SpooktaciularSweeps on October 31st. PCH GWY #5328. Thank You and God Bless!! I continue to be hopeful that one day I will be blessed and win a pch giveaway. I’m here to let everyone know that I do want to Win On OCT 23 PlUS THE BONUS OF $25.000.00 I”M JUST WANT EVERY ONE TO KNOW THAT I WANT TO WIN !! I want to give thanks to all you Publishers Clearing House hard workers, I’m sure that it is a very, very hard job to perform, and if it wasn’t for you all, I wouldn’t be able to take some of the load off. Please ‘re-enter me to Win $7,000.00 A Week For Life Prize for PCH GWY NO W36-16-4900 in your Special Early Look Event.I want PCH PRIZE PATROL to show up at 4106 Lennox in San Antonio on Oct 23rd to deliver that “BIG CHECK”. Also enter me to Win $25,000.00 Cash from GWY NO 4749. Thank you from GWY NO W36-15-4900. Wow, Dreams do come true. I hope my dream comes true on October 23, 2015. I would like to meet Danielle, Dave & Todd that would be great and thank you for all you do by making family’s DREAMS come TRUE. If you only new if I win what it could do for my family. So please I would love to hear my door bell ring or a knock knock at my door on October 23, 2015! so please Stop by my door is alway open for Welcome Friends! Have a Great Day! HELLO PCH I AM PUTTING MY ENTRY IN FOR A MAJOR PRIZE WINNER THAT HAS BEEN CONFIRMED LOCAL TV AREA IN VA NEWPORT NEWS AREA,PLUS 7,000.00 A WEEK FOR LIFE PCH GWY#5035&4900 ON OCT 23. WINNER SELECTION LIST ADMISSION NOTICE >PRIZE EVENT ON OCT 23. SW35 > 5000 BONUS GWY#4902. 15-4900 SET FOR LIFE PRIZE. PCH NOTICE# >W37-101 7,000.00 A WEEK FOR LIFE GWY#4900. WINNER SELECTION LIST 10W >PCH-15P38006. ADMISSION GRANTED PRIZE ELIGIBILITY 7,000 AWEEK FOR LIFE PCH GWY#W4005. I want to be the major Prize Winner. Would that not ne great. Remember to award it to me Publishers Clearing House. Thanks. Yes, I want to win! Please activate my Prize numbers and bonuses. and all other Life changing eligible Prize Numbers. I wish everyone luck on the 23rd Oct, gateway 4900 hopefully we can all be winners! Ricardo Vinas would like they pch asking me to claim my prize actevited my prize pending I will gwy num4900 prize number for $7000.00 for life forever also to happy October 23 2015 time06:35am day october 10/5/2015. Claiming my Fully Eligible Prize Numbers on to the Winner Selection List in my name to win $7,000.00 A Week For Life Prize! I am really ready to win !! I am so glad that i finally got to this page,i just hope i am still all right to be in it to win this amazing Lifetime Prize,i had to go through a little bit of hardship with my PC the last hours,so sorry not being on time. I need to start on my dream project very soon ,so that i could give some smile to people in need. I really want to win to change my life. Winning is all about Sharing! Thank you for this chance! Solicito entrada para el premio(5035) que otorga la cantidad de $1,000.00. Tambien reclamo el premio (4900) que paga la cantidad de $7,000.00 todas las semanas de por vida. Estos premios se otorgaran en este mes de octubre. Espero poder ganar los premios. Los he luchado por mucho tiempo. Tengo suma necesidad del premio. Necesito hacerme una operacion de los intestinos y pagar deudas. Gracias por la accion que puedan prestarle a esta. PCH Contest Officials have Jurisdiction to award $1,000.00 Prize in Jax. TV area a part of PCHGWY # 5035 . Also PCH Officials are prepared to award $7,000.00 a week for Life in a “Special Early Look” Event from PCH Nationwide GWY #4900. I want to search so I can become “Set for Life” !! I would like to WIN PCH prize and patrol on October 23 knock at my Door Soon. Estoy reclamando el premio que Publisher Clearing House otorgara el 23 de octubre del 2015. Este premio paga la cantidad de $7,000.00 todas las semanas de por vida. Mi Prize number is (7006-4751-1617). Espero ver llegar a mi hogar la Patrulla Premio. Gracias. PCH I am Responding to the Official Super prize Notice. Yes PCH I want Opportunity to be in possession of winning $7,000.00 a week for Life on October 23rd “Special Early Look Prize Event. I would be Blessed! Thank You!! Greetings, PCH! Yes! Yes! Yes! Change my life! 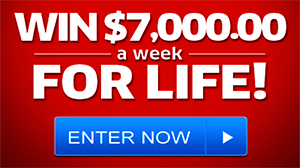 I am in it to win the prize event $7,000 a week for life on October 23, 2015! What a humbling blessing it would be to represent this great organization! It would be an honor to be part of the PCH Hall of Fame! Thank-you, PCH for making dreams come true! I so want to win, it would be a mericale, it would change my life and other’s cuz am the helping type and life would be so much better, I would love to win the super prize and my hole town would become a believer that och is true, what a life, thank you. I’m Hoping the Prize Patrol knocks on my door ! Disabled by a Brain Tumor. I could help my son and brothers before God calls my number. Enjoy a bit of the good life and help my family life a bit better. That is the least I can do. Or met PCH PRIZE PATROL personally, and they could hand deliver the “BIG CHECK” GWY.NO.4950. Thank you.